During coyote hunting derbies, contestants vie to kill more coyotes than their competitors. Wildlife activists believe the competitions are unethical, and are pushing to make them a thing of the past. Allen “Big Al” Morris has notched a record four World titles. We’re going to spend some time now talking about two world championships. Now, you’ve probably heard about the World Cup. It starts this week. And if you haven’t, we’ll tell you more about it in just a few minutes. But we’re guessing you probably haven’t heard about the World Championship Coyote Calling Contest. It is a hunting competition. The goal is to kill as many coyotes as possible, and as you can imagine, it’s controversial. NPR’s Alexi Horowitz-Ghazi went to Spanish Fork, Utah, for the competition, and he filed this report. ALEXI HOROWITZ-GHAZI, BYLINE: This winter, more than 120 hunters gathered for the annual world championship. And from the get-go, it’s clear that the organizers are on edge. Here’s how they introduce me to the room full of hunters. UNIDENTIFIED PERSON #1: If you’re uncomfortable with any question he has, don’t answer. He’s here on a good-faith basis. If he turns us around and makes us all look bad, then we’ll just simply go to his office and beat the [expletive] out of him. UNIDENTIFIED PERSON #1: We are a formidable bunch, right? HOROWITZ-GHAZI: OK, maybe not the warmest welcome. 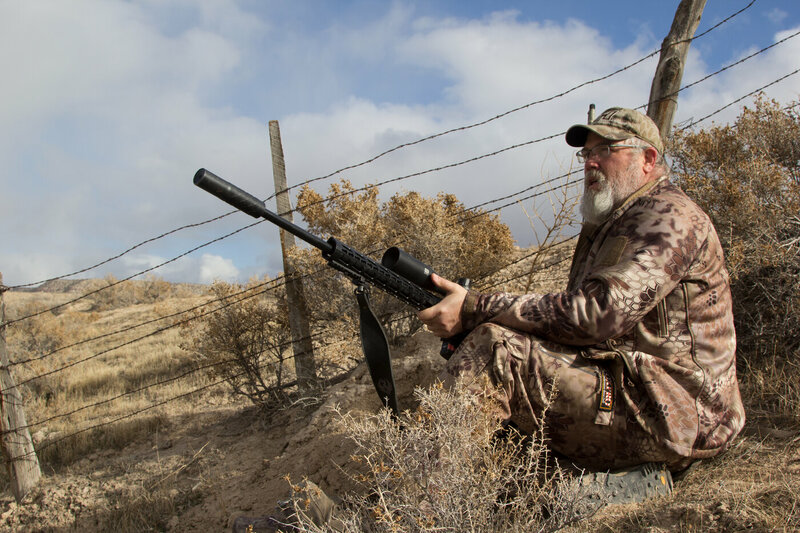 But luckily, my guide to the competition is one of Coyote hunting’s greatest evangelists, a guy named Big Al Morris. AL MORRIS: When they throw dirt on me, all they’re going to say is I was a hell of a coyote hunter, you know? (Laughter) And he killed a few elk along the way, too. HOROWITZ-GHAZI: Morris is a tall, gregarious guy in his early 50s, describes himself as just a biscuit shy of 300 pounds. He cohosts a TV show called “Furtakers,” and he’s won the World Coyote Calling Championship a record four times. MORRIS: None of these guys are here for second place. Everybody wants the title. HOROWITZ-GHAZI: Morris’s obsession with coyotes goes all the way back to when he was 17. He was playing around with a friend’s hand call, a small instrument used by hunters to lure in elk and other game. But when Morris heard rustling from the trees ahead of him, instead of an elk, he found himself staring down a pack of juvenile coyotes. MORRIS: They were going to take down whatever it was making that noise. They were going to eat it. HOROWITZ-GHAZI: Morris says that, at first, he was terrified. But after the pack ran off, he says he’d found his calling. MORRIS: That’s why I’m on this earth. With this little tiny call that I put in my mouth, I can manipulate a wild animal. I realized I had a gift. HOROWITZ-GHAZI: Morris has turned that gift into a livelihood. The week before the competition, Morris and his partner drove over 3,000 miles around the West, mapping out where coyotes live. Contestants will have a day and a half to hunt as many coyotes as possible. I tag along for a practice hunt. We head out to a vast brush-filled valley in southern Utah. The rancher who owns the land is happy to let Morris hunt predators that might attack his calves. Morris carries a bolt-action rifle, a shotgun and an electronic collar, a field stereo packed with dozens of pre-recorded prey sounds to lure coyotes into shooting range. He sets up his rifle on a small bluff overlooking the valley and presses play on his collar. HOROWITZ-GHAZI: The trick, he says, is to find coyotes that haven’t been lured this way before. That can be difficult in Utah, where the government pays hunters a year-round $50 bounty for every coyote killed, part of an effort to boost local deer populations. A few hours later, we begin our drive out of the valley empty-handed. Then, Morris sees a tiny shadow loping through a field of tall grass. MORRIS: There is a coyote. See him? That’s a $50 bill right there. HOROWITZ-GHAZI: He pulls over and grabs his rifle. MORRIS: Oh, I hit way low. MORRIS: Oh, that was close. HOROWITZ-GHAZI: But the coyote disappears into the brush. MORRIS: We don’t get them all. HOROWITZ-GHAZI: On November 30, Morris and his partner, Garvin Young, head out on the 48-hour hunt. The hunt is limited to teams of two, so I wave goodbye for now. HOROWITZ-GHAZI: So how did canis latrans, the American coyote, find itself so squarely in the crosshairs? HOROWITZ-GHAZI: Well, for thousands of years, the howl of coyotes could only be heard in their original habitat, the American Southwest, where they were held in check by wolves and other predators and viewed by many of their Native American neighbors as a deity. That changed with the arrival of European-American settlers in the early 1800s. Coyotes and wolves took the opportunity to expand their diet to livestock. And for decades, the federal government actively encouraged the extermination of predators. That policy pushed wolves to the brink of extinction, but the wily coyote managed to thrive and spread pretty much everywhere. To this day, the government hires hunters to manage coyote populations and protect livestock in many states. And around 70 years ago, ranchers started to host coyote-hunting competitions. CAMILLA FOX: My grandfather’s generation said we need to get rid of the predator, whether we poison it on a ranch or whether we go out and kill it as part of a killing contest. That’s the kind of mentality and culture that we’re up against. HOROWITZ-GHAZI: Camilla Fox is the director of Project Coyote, which wants to shut down coyote-killing competitions. Fox says that coyotes play an important ecological role, but more than that, she thinks it’s time for humans to rethink our relationship with the natural world. FOX: We are beyond killing animals for prizes and fun. This should be part of our history books. HOROWITZ-GHAZI: The organization and its partners have used lawsuits to successfully shut down coyote-hunting contests in several states. In 2014, California became the first state to ban them outright, followed by Vermont last month. Some hunters also oppose these competitions. They see them as unsporting and worry they give hunting a bad name. But let’s just say the fact that Fox is a vegetarian who lives in California and many of the competition hunters come from deep-red states is probably not a coincidence. There’s a cultural divide here, and the way both sides describe each other can get heated. FOX: It’s gratuitous slaughter, and that’s precisely what cockfighting and dogfighting were. And it was up until not too long ago that both those practices were still legal in the U.S.
MORRIS: They don’t want me to hunt. And I want to tell them to go to hell. The reality of it is we’re good people. And whether you understand or not, I’m doing something legal. And I really don’t care if you like it or not.